I am just thrilled to be releasing the final edit of my latest knitting pattern for download. A versatile basic Hoodie Sweater Pattern to knit from the top-down all in one piece. For kids in 10 different sizes from 2T to size 16 or Adult small with about 4″ of ease for a comfy “sweatshirt like” fit. A Classic, timeless design with simple raglan cables and a new twist on construction carefully designed for smooth, uninterrupted nonstop knitting. One piece top-down construction helps you get the perfect fit every time. 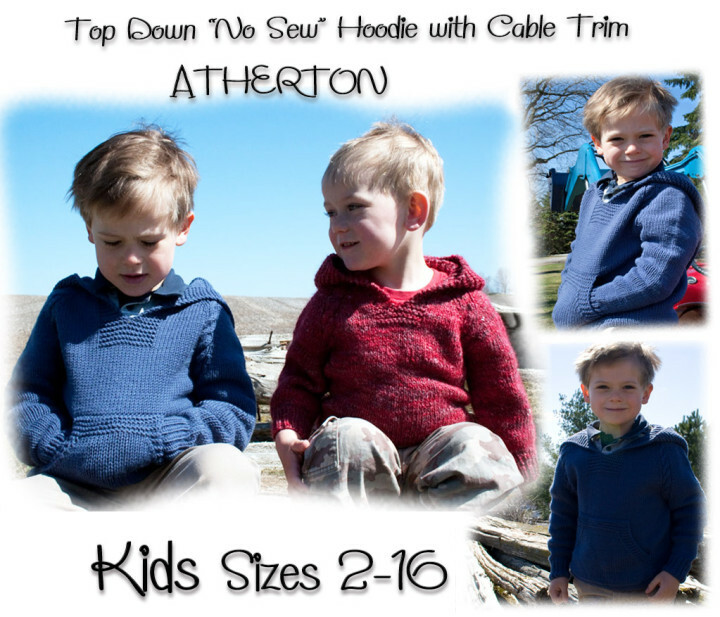 Knit it with or without the “Afterthought Wallaby Pouch” My kids actually love to wear this. It’s comfortable and looks great too. 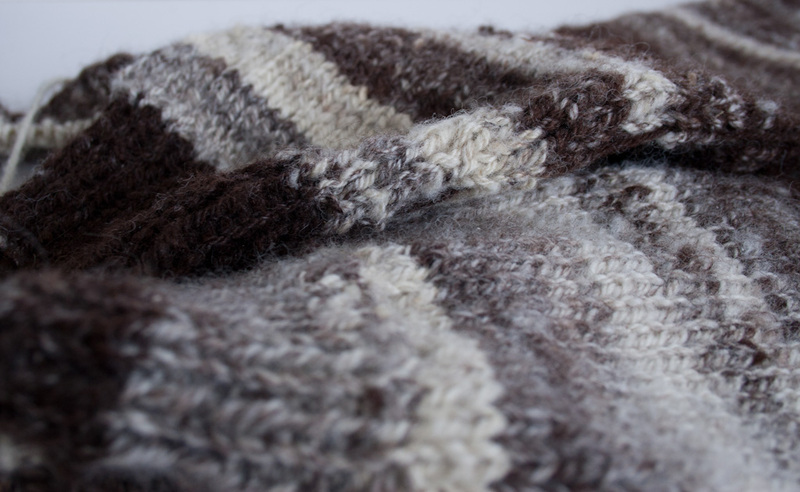 This is a “Meditative” knit with easy repetitive shaping that flows without interruptions. Before you know it you’re finished and the only sewing to do is the top of the hood and minimal ends to weave in. I find myself knitting this again and again with simple variations that make it new each time. 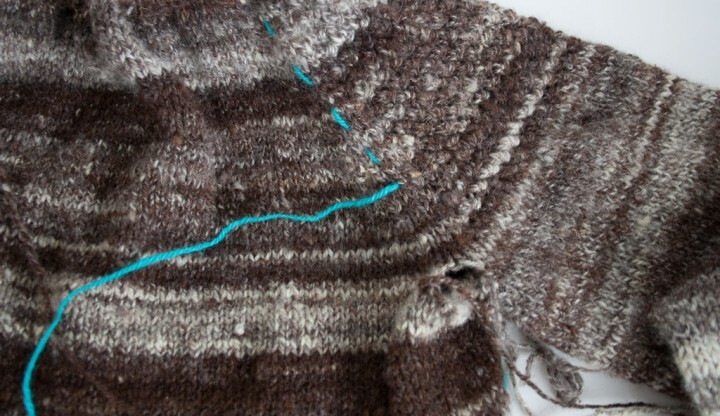 Make it a cardigan, lose the hood, add pockets or a stitch pattern for texture. Lots of ideas for variations included as well as a tutorial on an “Afterthought Pouch Pocket” that you can add to any knit. Child Sizes: 2T (4T, 5, 6, 7, 8, 10, 12, 14, 16) To fit chest: 21 (23, 24, 25, 26, 27, 28, 30, 31.5, 32.5)” [53.5 (58.5, 61, 63.5, 66, 68.5, 71, 76, 80, 82.5) cm] Shown in photo – size 6 with 4″ [10 cm] of ease. 18 sts and 24 rows or rnds = 4″ [10 c] in St st with larger needles after blocking. Notes: Simple raglan cables enhance this classic all-season hoodie which is worked in the round with basic shaping, easy-to-memorize stitch patterns, and no finishing. Allow a generous amount of ease for a comfy, sweatshirt-like fit. Detailed instructions provided for ten sizes with plenty of ideas for variations and customization – knit it again and again without ever making the same sweater twice. 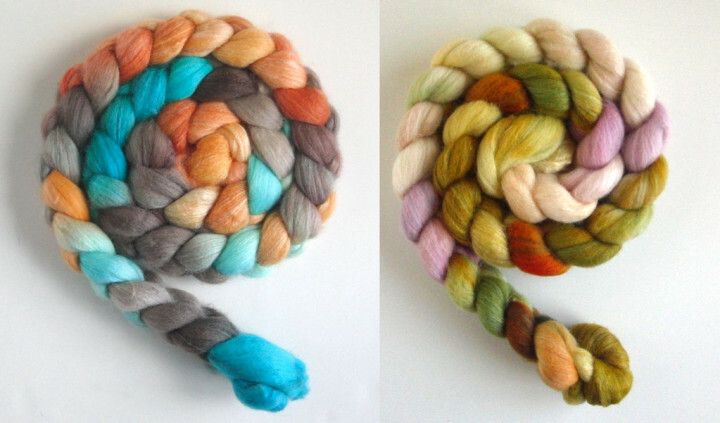 I thought it was time to post an update to “Spinning the Spotted Fleece”. The sweater now has a name. It will be called Jacob. 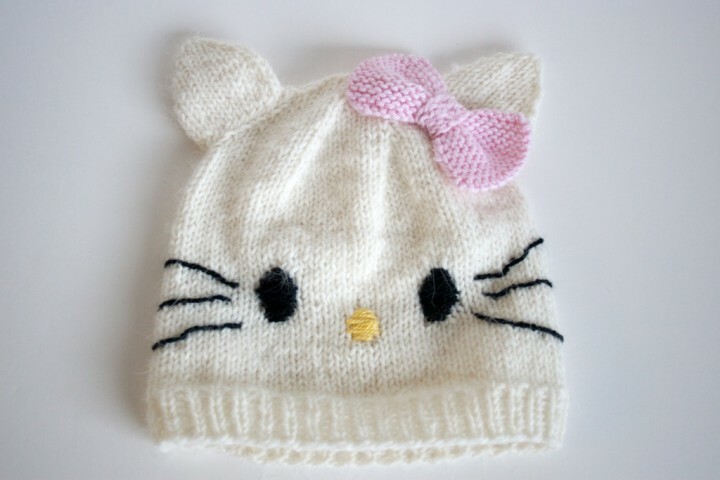 I will probably do a pattern for it after I’ve knit it in another colour pattern for variety. 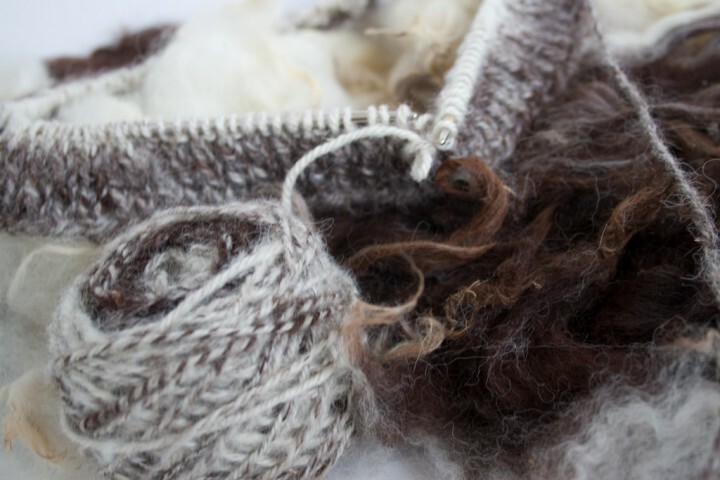 I’ve had quite a few orders for handspun yarns so the knitting is coming along rather slowly. I’m at the neck shaping. We tried it on and it’s within an inch of exact measurements which makes me very happy. That can definitely be worked out with washing and blocking. I don’t know about you but I am almost as opposed to finishing as I am in love with knitting. It took a lot of self-control but I managed to put a face on “Hello Kitty” today for my sweetheart Alice. This is her dream hat for this year and she really appreciates the stuff I make her. What an amazing girl she is. I used Beadwhore Knitting’s pattern and it was very helpful. I just adjusted the stitches to my gauge and cast on. I used coins to help me visualize the best placement for the face and outline stitched around them to show me where to go with my stitches. It is *hard* to embroider on knitting! Let me tell you.